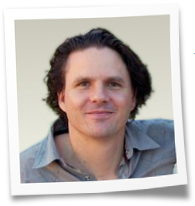 I’m Anton Pearce and I’m about to show you a proven way to generate all the client leads you need for your healthcare consulting, coaching or therapy practice. Not only that but the methods I’ll teach you will allow you to promote your services in a way that feels authentic, ethical and completely comfortable.Along the way I can also show you how to leverage your expertise into new online income streams that perfectly complement your niche. If you’re a coach, consultant or therapist it’s quite possible that you feel a degree of anxiety or stress about where your next clients are coming from.You wouldn’t be alone in feeling like this. In fact most service-based business owners face the stress of having to find a constant stream of clients to stay in business, month in and month out. Even those practitioners who’ve been operating for many years can face this problem.You may be working with clients you’d prefer not to be working with, but to turn them away or reduce your hours would mean taking a cut in your income. Until you have a reliable, strong flow of good quality clients, and enough clients to be able to choose who you want to work with, when and how, then you’re really not free. So what’s the answer? How do you bring in the clients you want, keep them coming in for years, and have a thriving coaching, counselling or consulting practice? Step One – Download this Free Report – You don’t even need to give your email address.